With my job, I am blessed to be able to travel the country and tour some impressive facilities. 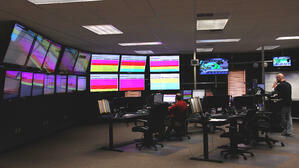 Facilities such as large central offices, carrier hotels and recently, an underground data center. I had a preconceived notion of what to expect in an underground data center as I have toured several above ground. I assumed we would enter a building above ground and an elevator would take us below. After receiving driving directions to the facilities and being told “Once you enter the cave”, I had to ask for clarification. After confirming that I would be driving into the cave, I still assumed we would park just inside the entrance and take an elevator down. Was I ever wrong. 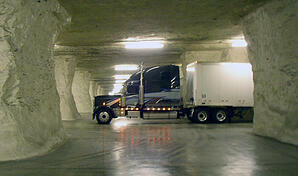 As I entered the cave, I was met by a semi-truck as if we were on Interstate. It was kind of scary and cool at the same time. Approximately a quarter mile in and 100’ below the surface, I arrived at the data center. What I learned is that since the cave had a consistent ambient temperature year-round and protection from the elements, it was an attractive location for many businesses, not just the data center. 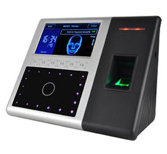 Multi-layered security including security guards, visitor tracking, video surveillance, face and fingerprint biometric verification access. Redundant primary power feeds, backed up by UPS and redundant MW generators. Focus on infrastructure and operational maintenance for 100% uptime. Towards the end of the tour, we walked past their Network Operations Center (NOC) which allows their customers access to monitoring and network support. They receive alerts via email, SMS and text on set thresholds or events, so their customers are always up-to-date with their network status. Just like a data center and as your broadband network evolves into an all IP network, the importance of intelligent network monitoring becomes more important than ever. Maintaining optimal performance is critical as applications like cellular backhaul, telemedicine and video require low latency and high availability. To learn more about how affordable it is to have eyes on your network 24x7 contact Doug Kuntz at 785-621-2974 or email dkuntz@nex-tech.com.